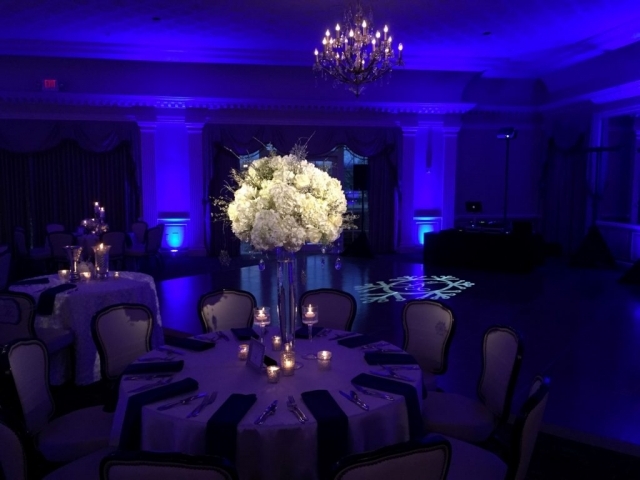 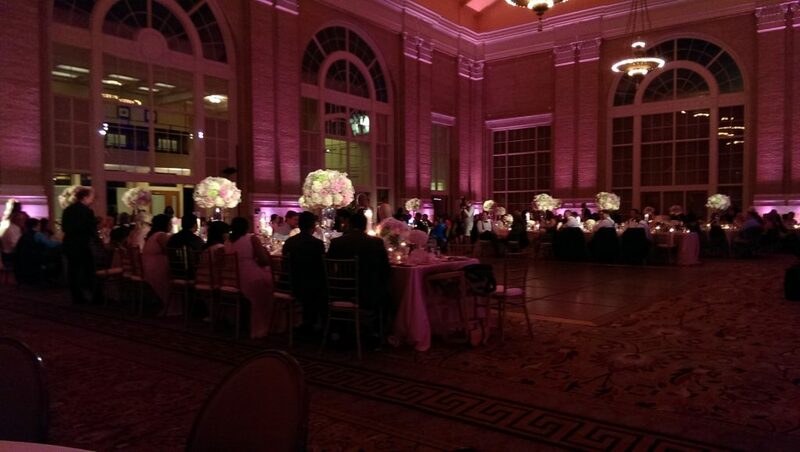 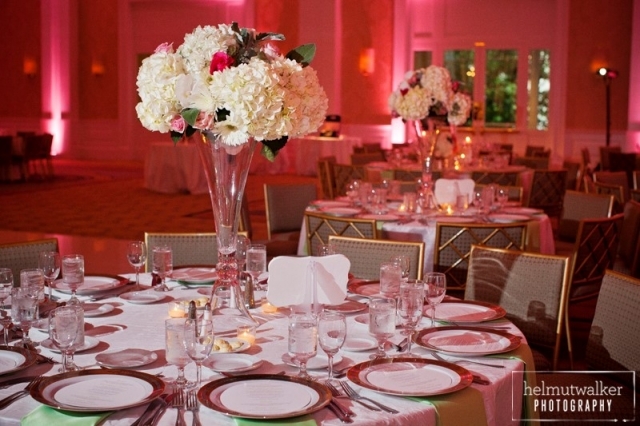 Pinspotting involves shining a small white spotlight at your centerpieces. It really helps to highlight your centerpieces to make them stand out. 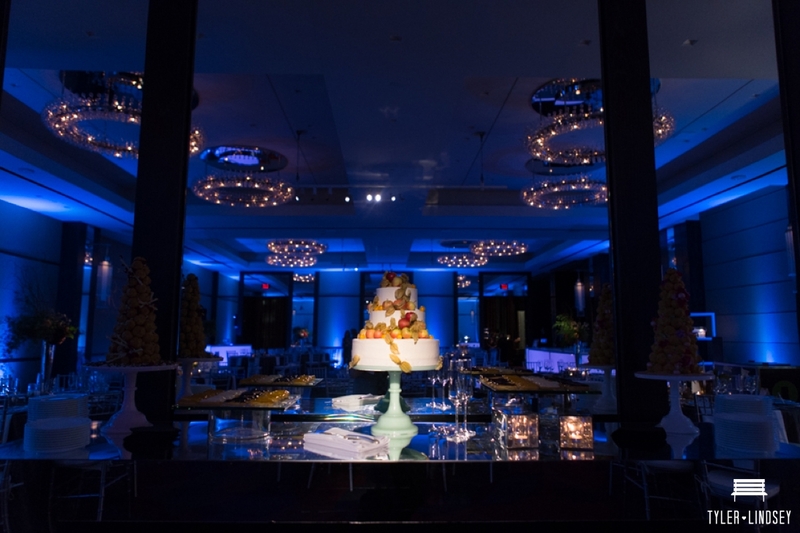 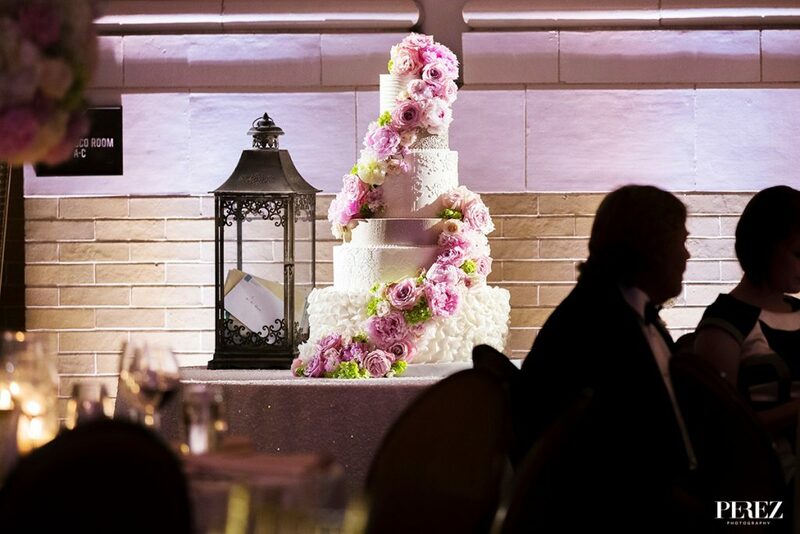 In addition to pinspotting centerpieces, we can also pinspot cakes, dessert tables, or any other elements you'd like to highlight. 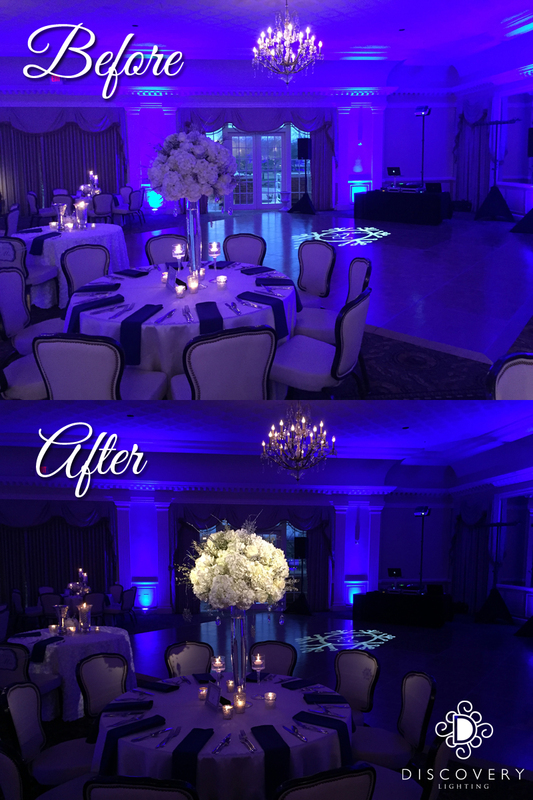 The picture on the right is a great example of the difference that's made when you pinspot a centerpiece. 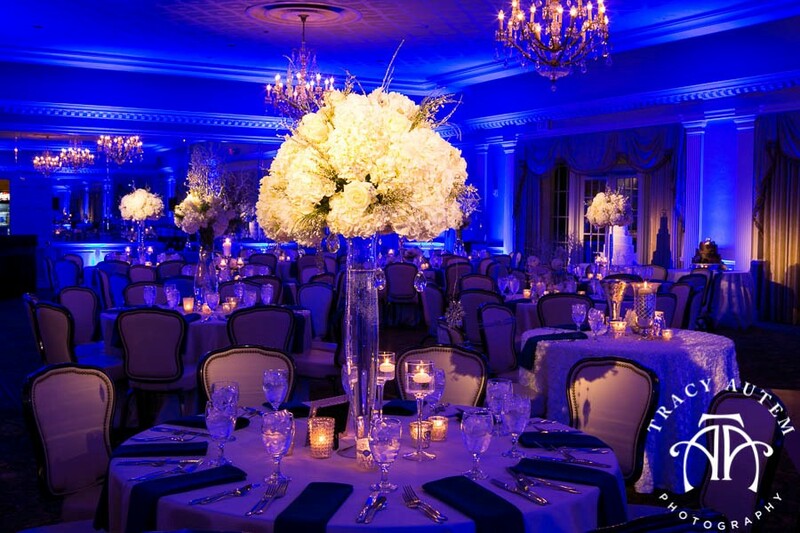 Rather than just blend into the room, pinspotting allows your beautiful floral centerpieces to be seen brightly, and clearly, from anywhere in the room.